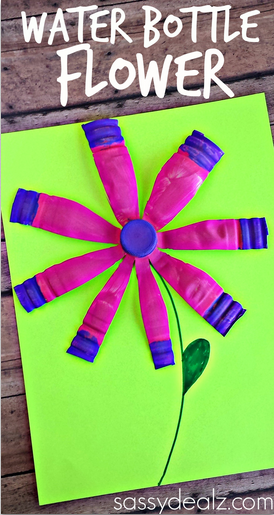 If you have any water bottles sitting in the recycling bin, pull them out to make a pretty bottle flower craft! 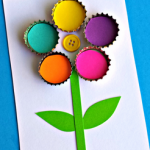 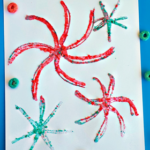 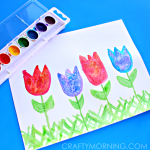 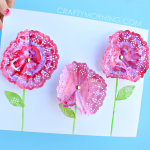 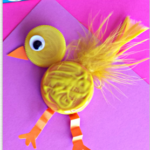 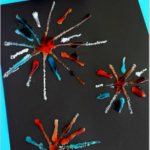 This is a great art project for kids to make for Spring or Summer! 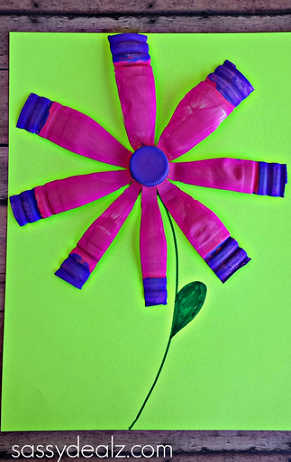 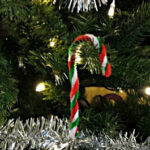 You will need a water bottle, paint, a paintbrush, glue, and a green marker. 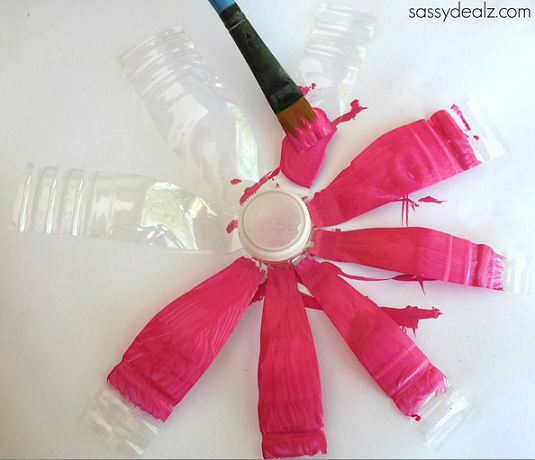 Start by cutting the water bottle, you will only use the cap part. 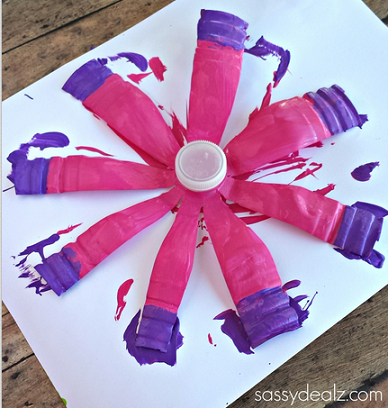 Cut slits down the bottle all the way to the cap and press it down on a table so it goes flat. 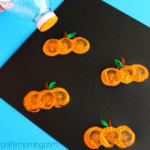 Grab a paintbrush and start painting it! 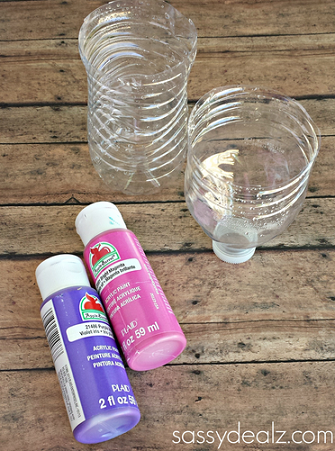 Don’t forget to paint the middle cap! 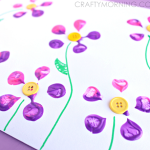 Once it dries, glue it to a piece of paper and draw a stem/leaf.